The problem with a lot of DIY projects is that they can require a lot of materials. You still end up with the satisfaction of something you built with your own hands, but the shopping trips can get pricey. 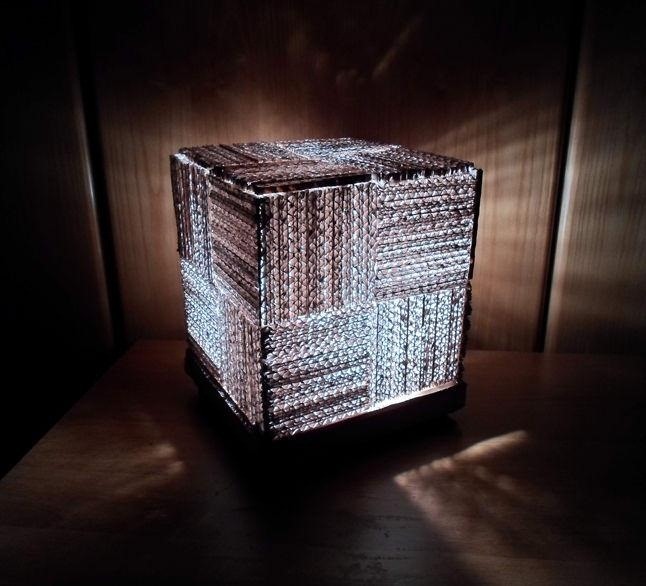 This cardboard cube lamp by Instructables user lindarose92 is awesome because it only requires one thing—and it's something that most of us have plenty of lying around. 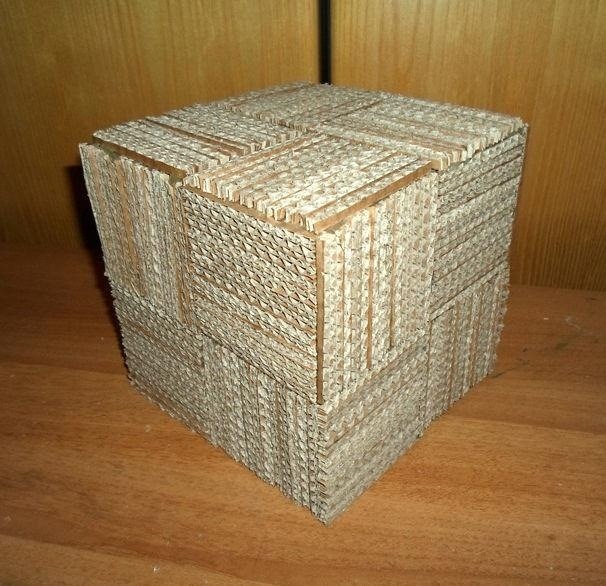 It's super easy to make and looks great when it's finished, plus it gives you something to do with all those empty cardboard boxes in the attic. The first step is the most tedious—turning a cardboard box into a bunch of thin cardboard strips. 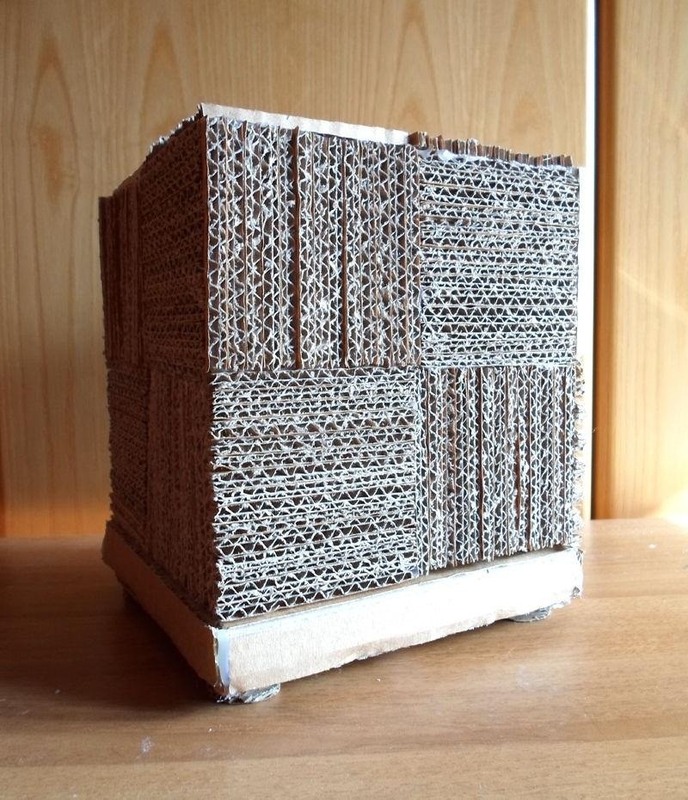 For hers, lindarose92 used 5mm x 8cm strips of corrugated fiberboard. 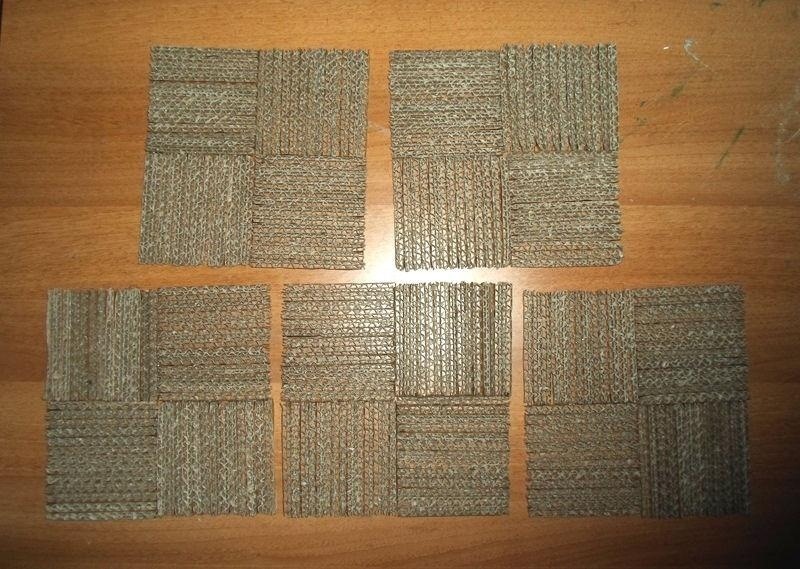 Then, she put them together into 20 squares (8cm x 8cm) using super glue. Four squares make each side of the cube, which she glued so that the strips are perpendicular to the ones next to them to make five large squares total. 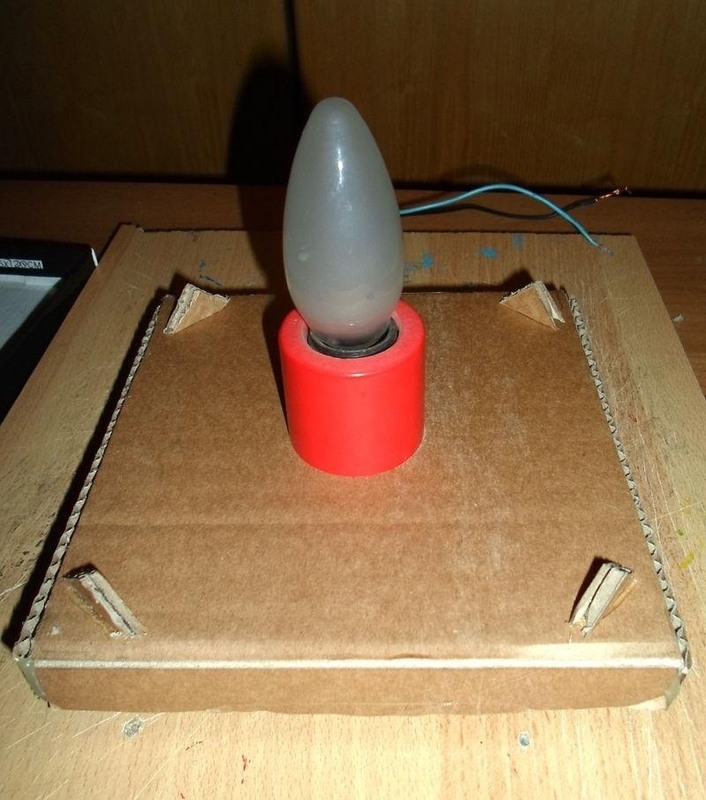 As for what goes inside the cube, lindarose92 built a shallow cardboard box to hold the light bulb, but as a commenter pointed out, a clean pizza box would work just as well and cut out the extra step. 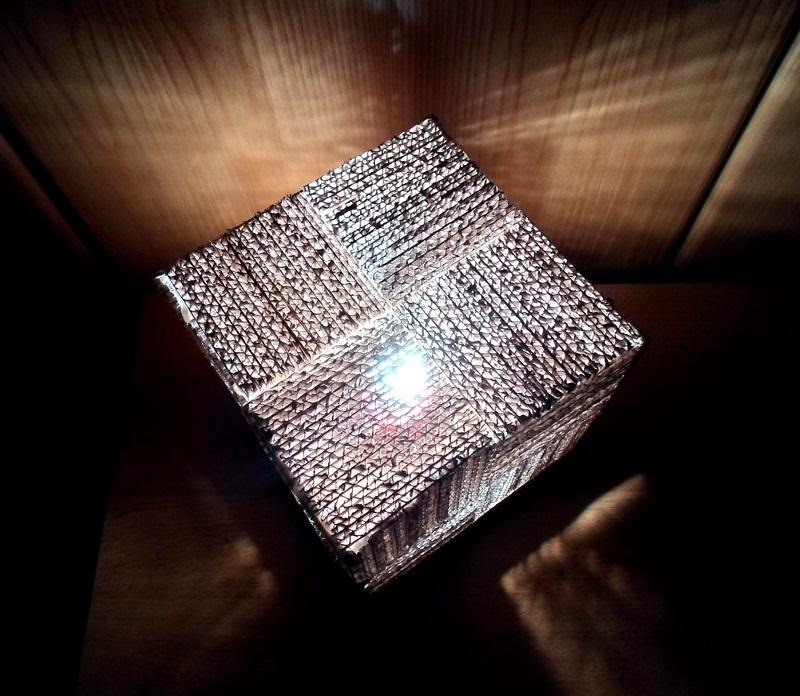 This box is the base of the cube, which she cut a hole in for the bulb to go through. She also put little cardboard feet on the bottom, but you could probably get away with skipping those if you're feeling lazy. The finished product doesn't look like much by itself, but when you light it up in a dark room, it looks pretty impressive for cardboard. For different effects, you could play around with the thickness of the strips, or even use different sizes for different squares. If you don't like the look of the plain cardboard when it's turned off, you could spray paint the strips before you start putting them together. Check out lindarose92's tutorial for more details and step-by-step photos.